For the Love of the Gods tells the epic story of theurgy, from its roots in ancient Egypt to its modern day practice. 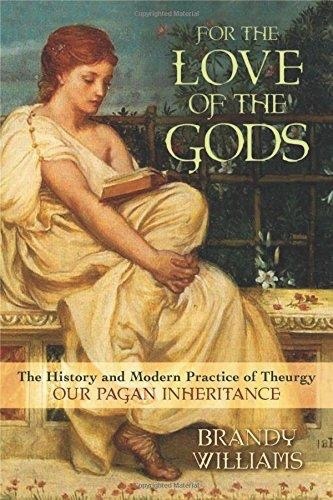 The lives and passions of the early Pagan philosophers come alive in these pages, immersing you in the bustling cities and diverse cultures that spawned theurgy as we know it today. Theurgy is best understood when it is deeply experienced. The stories presented here re-create the experience of these ancient practices and show how they were passed down through generations of teachers and students of differing ethnicities, genders, and ages. It's commonly believed that ancient Pagan theurgy traditions were erased from the earth and replaced by monotheistic religions―but this is a myth. The way to the gods was never lost. 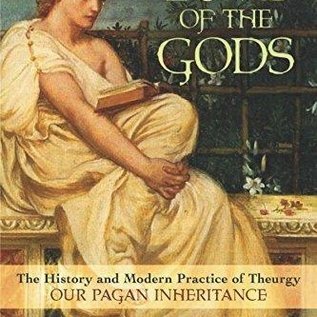 For the Love of the Gods shares step-by-step instructions for theurgic rituals, so that you can create relationships with the gods and love them as the ancients did. Discover how to offer devotionals, create living statues, invoke into yourself and others, and achieve personal communion so that you, too, may dwell in the happy presence of the divine.